Why do landlords become landlords? | Belvoir! Why do landlords become landlords? A lot of landlords, who would initially have preferred to sell but due to the current property market, have opted to keep hold of the property and borrow additional money to purchase their new home. These are known as ‘accidental landlords. The professional rental sector could provide you with a viable alternative to selling. At the same time you will be building up the equity in your home until you are better prepared to sell in the future. While some ‘accidental landlords’ choose to sell their properties once the market has improved, others don’t. 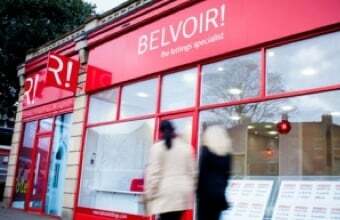 At Belvoir Ipswich we are finding many of our 'accidental' landlords are now looking at a second property - this time specifically for investment. Increasingly we are dealing with first-time landlords who are looking at property as an alternative to, or to run alongside, a pension scheme. We have landlords achieving a yield on these properties of 6% upwards and, if they buy in the right area, they can then hope to sell the property for a profit. Capital appreciation is an important factor. A property is a tangible asset, which many people like, and the combination of income and capital growth is attractive to most – whether a landlord wishes to sell on retiring in 10, 15 or 20 years, historically property prices have risen over a significant time-frame. In recent years we have seen a rise in the number of landlords who have purchased properties for their children to live in. If your child has left home to study in another part of the country – and you are in the fortunate position to be able to purchase a property for the child to live in – this can be a great investment opportunity. As the rising cost of property has priced lots of young adults out of the market, buying a house for your child to live in until they can afford to finance the mortgage themselves is also a good way of enabling your child to get onto the property ladder. Some people view being a landlord as a business opportunity. These investment landlords with large portfolios have dozens (sometimes hundreds) of rental properties. Profits from each property are used to help finance the purchase of additional properties. Many go into partnership with other investors, while others go it alone – and some even started their business as a result of being an ‘accidental landlord’. Inherited properties can often make great investment properties and we’ve had quite a few of these scenarios recently. An inherited property can provide income and capital growth and represents a safe investment. As you inherited the property your outlay would be little or zero and therefore the monthly rental yield would be higher than buying your own investment property at today’s current market value. Plus, if you are sentimentally attached to the property, renting instead of selling will allow you to keep it in the family. Although it’s important to take into account that many inherited properties are likely to need modernisation, long-term gains are likely to be high.